To be part of the European Union means you have to shed your national identity and be part of everybody. It is no longer acceptable to be yourself. This agenda serves the 1 percent and Washington, Paul Craig Roberts, an American economist, told RT in an interview. Billionaire financier and philanthropist George Soros has attracted attention once again, this time saying the European Union should take "at least a million" refugees every year to ease the mass exodus of desperate people from the Middle East and Africa. Soros wants the EU to dig deep and pay an annual amount of "at least €5,000 per refugee, or €20 billion." And this coming at a time of severe austerity measures pushed onto the European people, not to mention the bailout of entire countries, like Greece. Thus, it's little wonder that Hungarian Prime Minister Viktor Orban says philanthropists like Soros must assume part of the blame for the current crisis. "This invasion is driven, on the one hand, by people smugglers, and on the other hand by those activists who support everything that weakens the nation state," Orban told reporters. 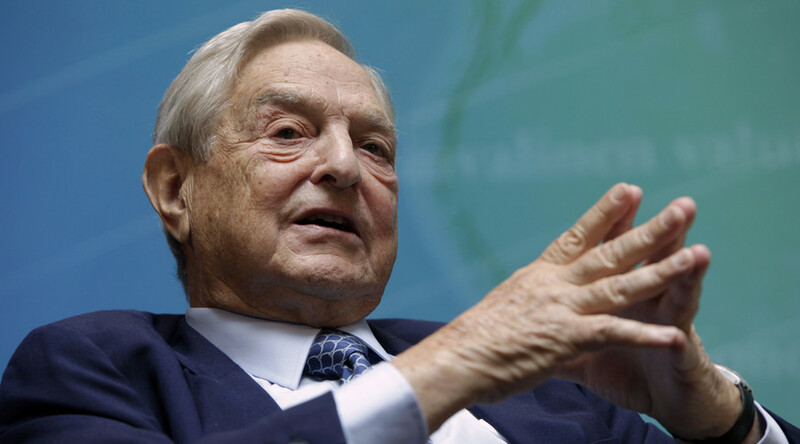 "This Western mindset and this activist network is perhaps best represented by George Soros." Paul Craig Roberts offers his own interpretation as to what has precipitated this crisis of epic proportions as millions of foreigners now descend en masse on European communities, many of which are totally unprepared for the influx of foreigners. It is “Washington’s wars,” not George Soros per se, that are forcing the refugees to flee their homelands and seek to enter Europe, Roberts believes. Roberts also asks whether Soros’ advice regarding Europe absorbing millions of refugees is based on something other than just humanitarian considerations. One consequence of Washington’s wars over the course of three presidencies has been to “destroy stable countries and leave in their place disorganized, small fiefdoms that war on one another,” Roberts said. But for those individuals - like George Soros - who comprise the 1 percent of the global elite, their goal is to redefine what it means to be a European. Roberts then turns his attention to Ukraine and the political strife that has rocked the nation, arguing that that non-government organizations were busy behind the scenes destabilizing the country so as to prop up a Western-friendly puppet leadership. Indeed, Western non-government organization have been operating freely in Ukraine since the collapse of the Soviet Union. According to Roberts, it should come as no surprise as to where the funding for such large-scale, operations originates. But this is not just an act of aggression against the Ukrainian people, but “an attack on Russia itself,” Roberts says. “This is an effort to weaken Russia, to threaten Russia, to make Russia back off from its resistance to American hegemony over the world,” Roberts proclaims. Ultimately, the work of these philanthropists and non-governmental organizations “is designed to break apart European national identity in order to prevent any sort of loss of the American empire to independent foreign policies among European countries,” Roberts says.